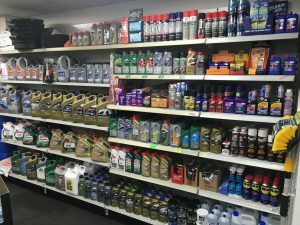 The Parts Store only sells quality parts manufactured by reputable suppliers. If they don’t have exactly what you are looking for they can get it next day – guaranteed. With a vast stock holding, The Parts Stores parts and accessories portfolio is comprehensive, with products for almost every vehicle you can imagine – and probably quite a few that you can’t. What’s more, they are all quality parts and accessories from major European component manufacturers. Behind the friendly and welcoming atmosphere at The Parts Store, business is conducted in a methodical and efficient way in order to ensure that it is a pleasure for customers to deal with.